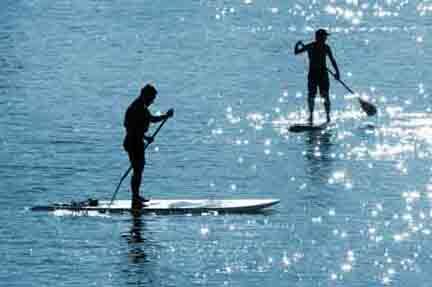 Statistics show that flat water paddling and fitness training is the primary reason people purchase paddle boards. It’s not surprising, because this SUP discipline is easy—all it takes is the ability to balance and a reasonable level of fitness to get started—so newcomers to the sport feel a sense of confidence right away. It’s remarkable how gently yet effectively core muscles are strengthened, too. The bonus is the environment: the experience of flat water paddling on a tranquil lake on a summer day is hard to beat. Flat water paddling and distance paddling are increasingly common sights, but the activity still draws attention. 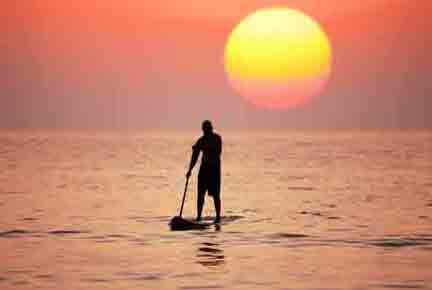 Although paddling has been around for decades, it didn’t become widely accessible until around the year 2000. 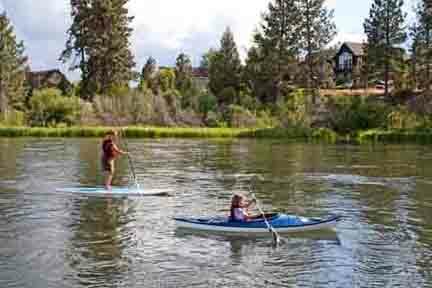 Now, a walk by the water might reveal some young teens learning freestyle technique, a family casually paddling for fun, or a senior riding the rails with confidence. You might even catch an organized SUP race. So why wouldn’t you want to join in? 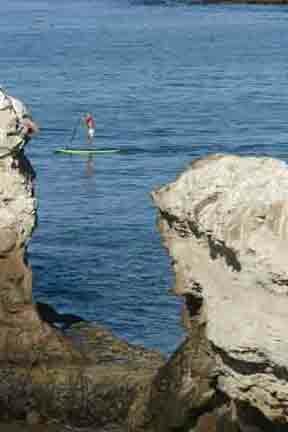 Stand up paddle boarding now reaches a wide range of people, and SUP paddling in general is often the gateway to a new activity for fun and fitness. Ask anyone about flat water paddling and you’ll hear words like fun, simple, even therapeutic. They’ll tell you it’s great way to absorb nature, and because you’re standing up, you get even more spectacular views that can’t be felt from sitting in a boat—this stand up sensation of amazing views is often the first feeling that will impress. I paddle on the Columbia River near the small town of Castlegar B.C. Canada. Now and then vehicles slow down and watch from the road above. On one occasion a jogger stopped and called down to ask some questions: How can I try paddling?, Is it a good workout? and: Is it affordable? Now, of course, I’d send him here rather than shout my answers from the middle of the river, where he—like you—can explore these pages and resource links and find out why stand up paddle boarding is drawing so many converts. There are many disciplines for using a paddle board. Within the flat water category you can tour, cruise, race, fly fish, explore, perform yoga or join exercises classes. Surprisingly easy, seriously addictive? You bet. Another getting started by PaddlingTV bringing you important points to note – how to, safety and ettiquete. What to do when you fall off. How to launch and land your SUP. With Mike T.
DESCRIPTION: family fun in Calgary B.C. Canada. An article about stand up paddle boarding in Calgary. DESCRIPTION: This link takes you to a short article about a centurion senior from Minnesota U.S. paddle boarding. DESCRIPTION: The following link brings you to a story about a yoga enthusiast that tried yoga for the first time on a stand up paddle board. Flat water paddling is easy. The bonus is the great outdoors. Before you know it the kiddies will be sneaking out with your board.